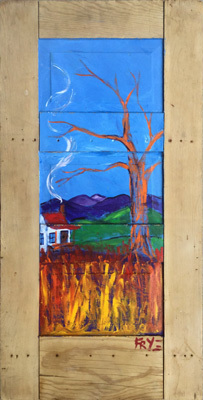 Self-taught artists Charlie and Susan Frye are deeply connected to their hometown of Lenoir, located in the Appalachian foothills of Western North Carolina. 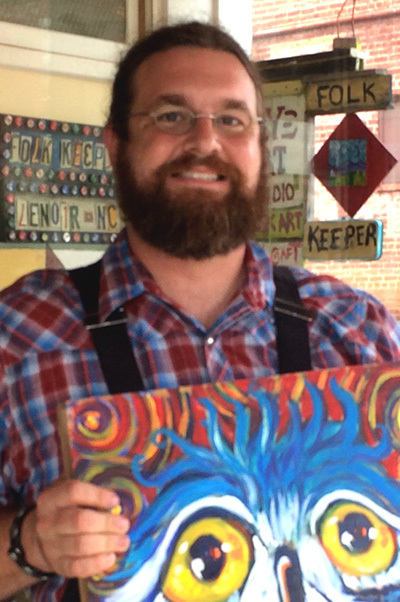 Committed to maintaining and sharing this connection, they own and operate The Folk Keeper Gallery, a combination art studio, gallery, shop, classroom, and home in the town’s center. 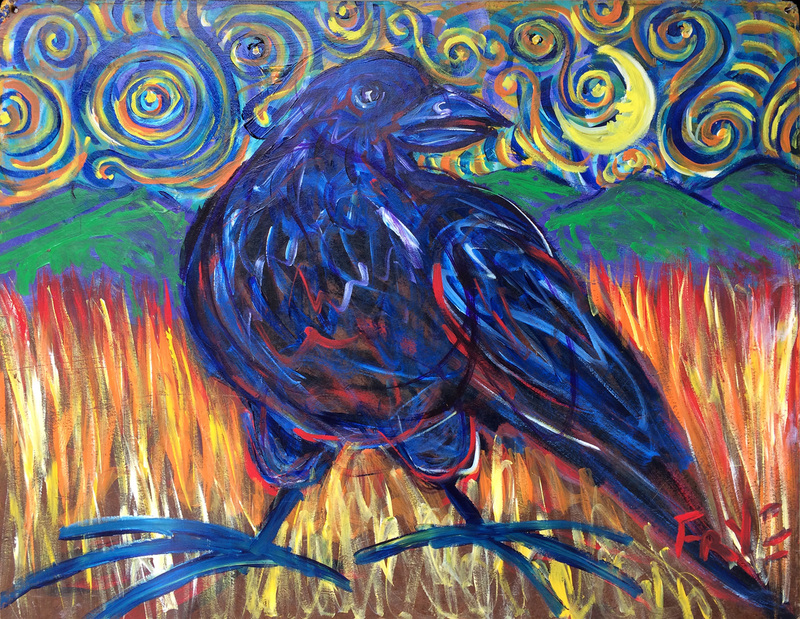 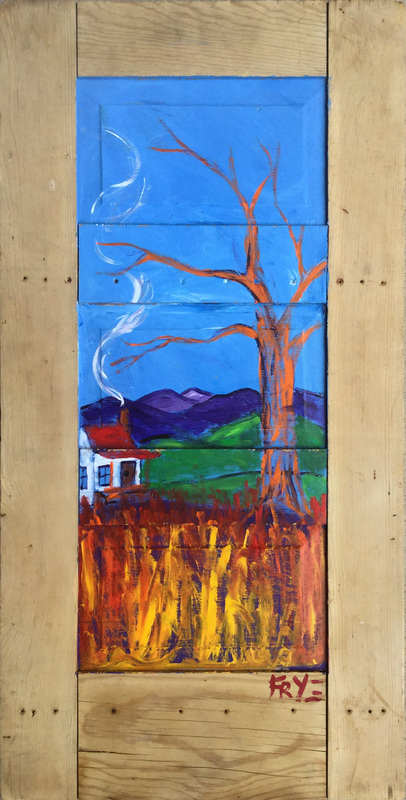 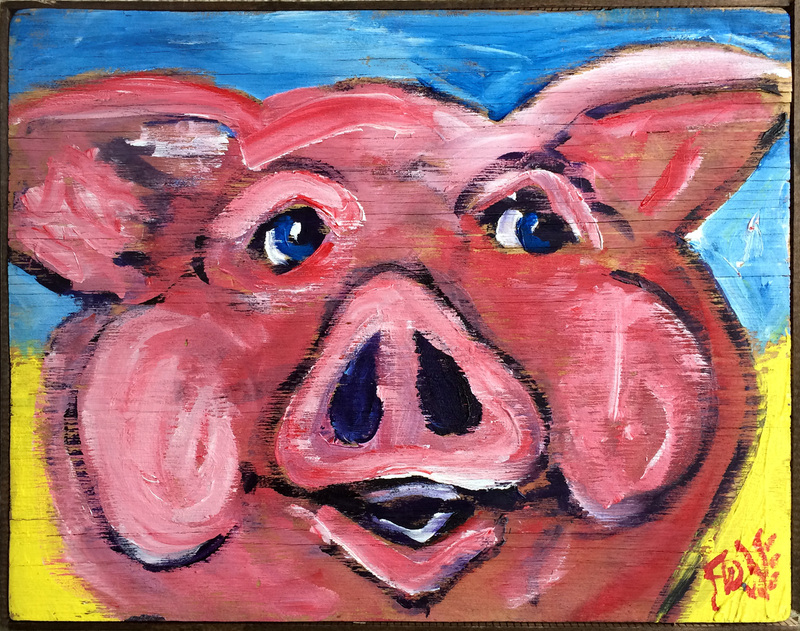 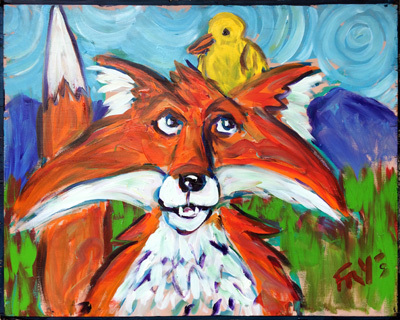 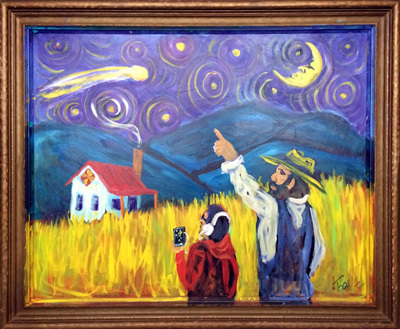 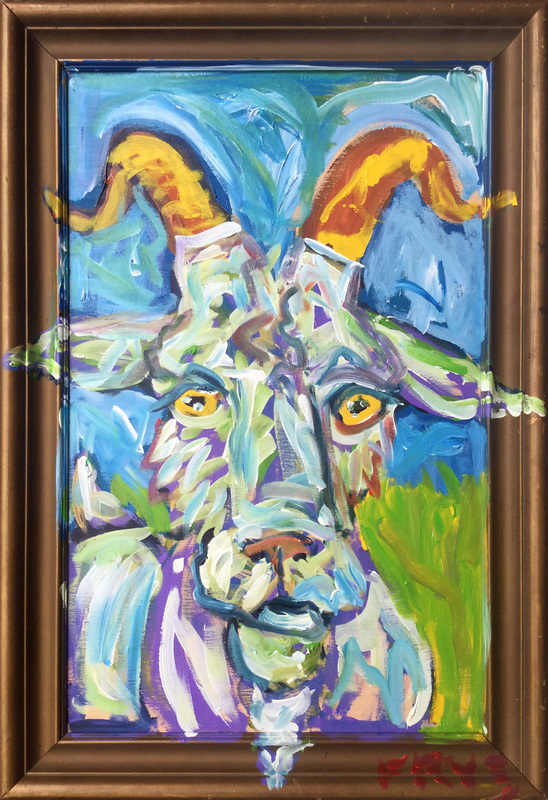 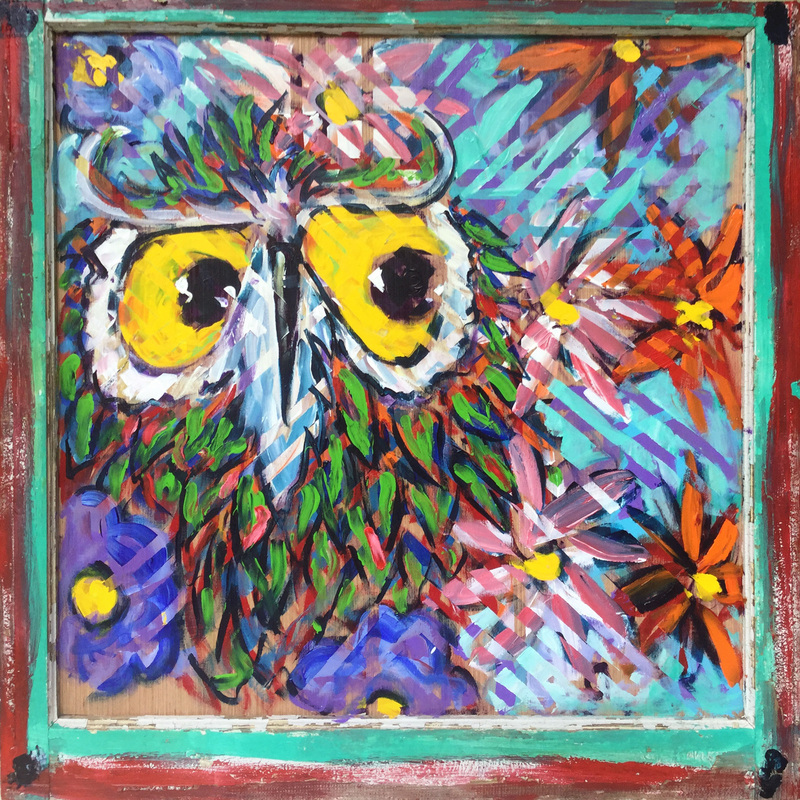 Charlie Frye’s bright colorful paintings convey his love for the land, the animals, and the people of Appalachia. 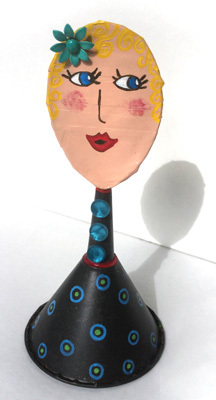 He prefers to paint on scrap wood or found objects, and he often adds a scrap-wood or recycled frame. 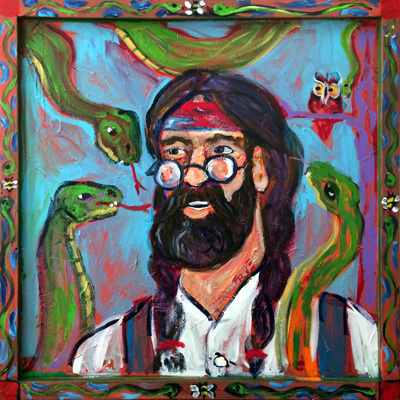 His art is driven by his desire to preserve the memories of vanishing lifestyles. 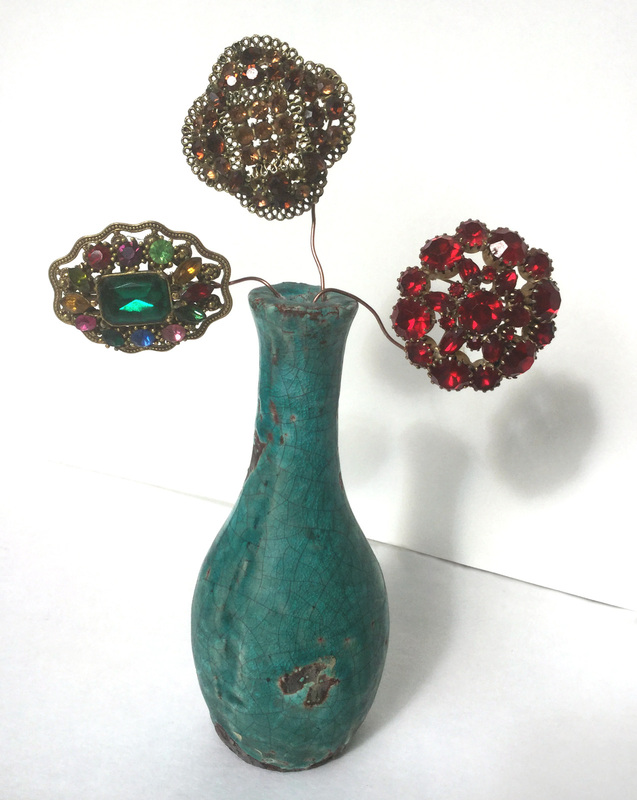 Complementing the paintings in the current exhibit are Susan Frye’s found-object assemblages and recycled creations. 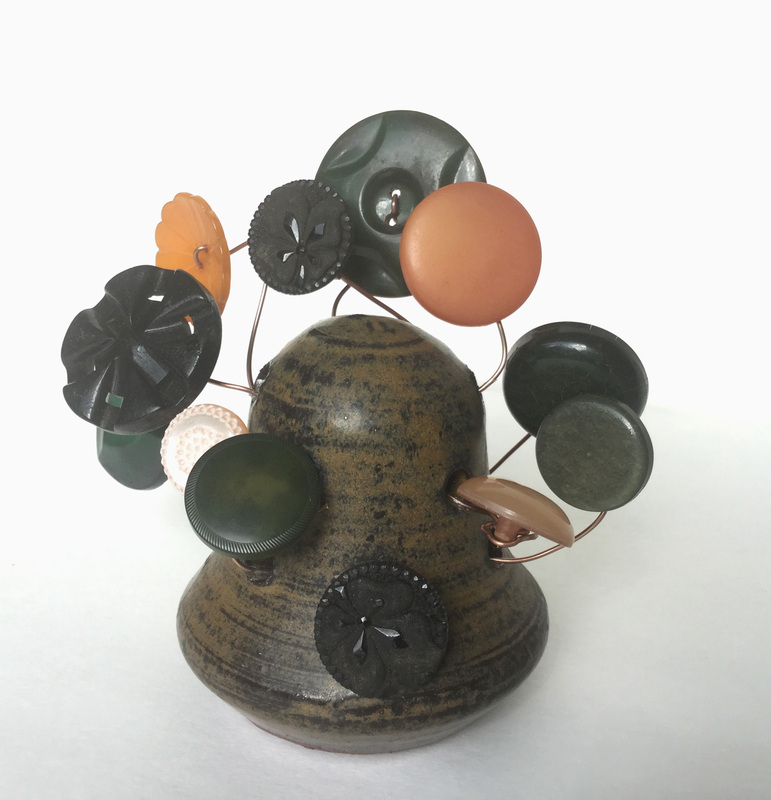 Susan uses scraps of tin, wood, and twine, abandoned kitchen utensils, and mismatched buttons to evoke memories of simpler times. 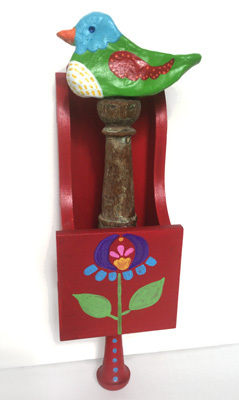 For more about Charlie and Susan, visit their gallery website at www.folkkeepergallery.com. 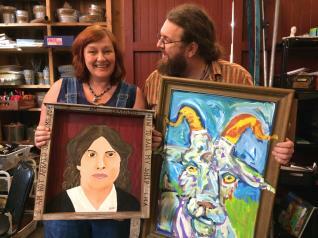 Or drop by the Folk Keeper Gallery & Antiques, 902 West Avenue, Lenoir, NC. 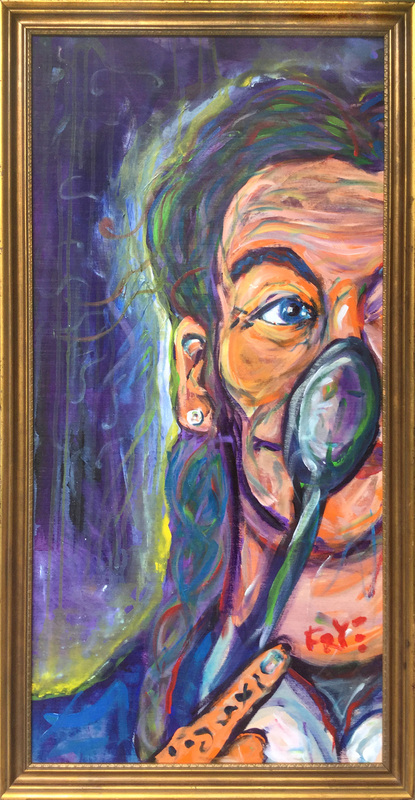 "I CAN SAIL MY OWN SHIP"
18" x 18" x 5.25"
9" x 17" x 6.5"
12" x 19" x 3"
3.5" x 12" x 3"
"I MADE SOMETHING OF IT"